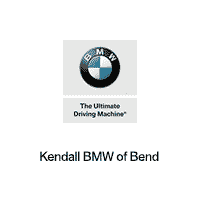 Looking for a new BMW vehicle in Bend? Well, look no further than BMW of Bend. As part of the Kendall Automotive Group, we’re proud to be part of a tradition of serving the Pacific Northwest since 1937. Whether you’ve been eyeing a luxurious new vehicle, like the 2018 BMW 328i, or just need some service work done, you can trust BMW of Bend to meet all your needs. Here on the blog, we’ll be posting frequently about the latest BMW news, so check back often. We’ll also use this space to keep you updated on the goings-on at our dealership, such as events and specials. So next time BMW unveils an incredible new concept car, or we have a special on that vehicle you’ve been dreaming about, you’ll know. We hope you’ll stop by our dealership in person soon, and encourage you to contact us if you have any questions. From all of us here at BMW of Bend, we can’t wait to serve you! 0 comment(s) so far on WELCOME!